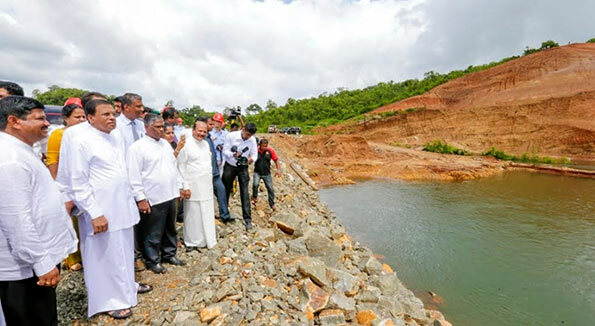 President Maithripala Sirisena made an observation tour to the Moragahakanda Kalu Ganga Multi- purrpose Development Project and reviewed progress on the construction work on Friday (06). Thereafter the President opened the Kaluganga Project Engineering Office. The construction work on the project is expected to be completed by 2016. While the project is completely handled by local engineers, the financial assistance is being provided through the Government. The foundation stone for this Moragahakanda project, the biggest multi-functional irrigation project, was laid by President Sirisena in 2007 when he was the Minister of Agricultural Development and Agrarian Services Development.